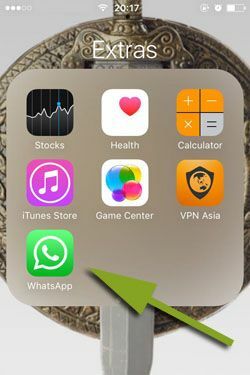 If you don’t want your iPhone to vibrate when you get WhatsApp notifications, you can learn how to do that with our guideline and tips below. If you have any questions regarding WhatsApp or its notifications, please ask us. We have already gave several information about this subject on How to Chat Online. You can click here to see all our guides about notifications of the application. 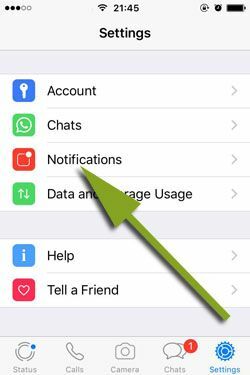 Let’s begin to tell you about how to disable WhatsApp notification vibrate on iPhone. 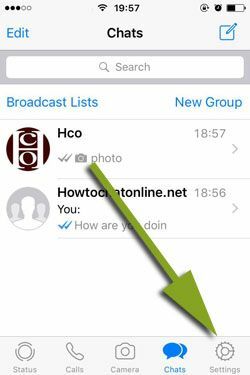 1-) Run WhatsApp on your iPhone or iPad device. 2-) Tap on “Settings” button which is located at the menu of the application. 3-) On the settings page, you will need to swipe down a little bit to see “Notifications” section. When you see the “Notification” button on the page, please tap on that. 4-) You will also need to swipe down at the notification settings a little bit. Tap on “In-App Notifications” section when you see it. 5-) Tap on “Vibrate” section to disable it from WhatsApp notifications. You will no more get any vibration with WhatsApp now. However we also recommend you to check our other guidelines to disable this feature if these steps didn’t work for you.